Click the header image to take a look at GLHF Magazine. 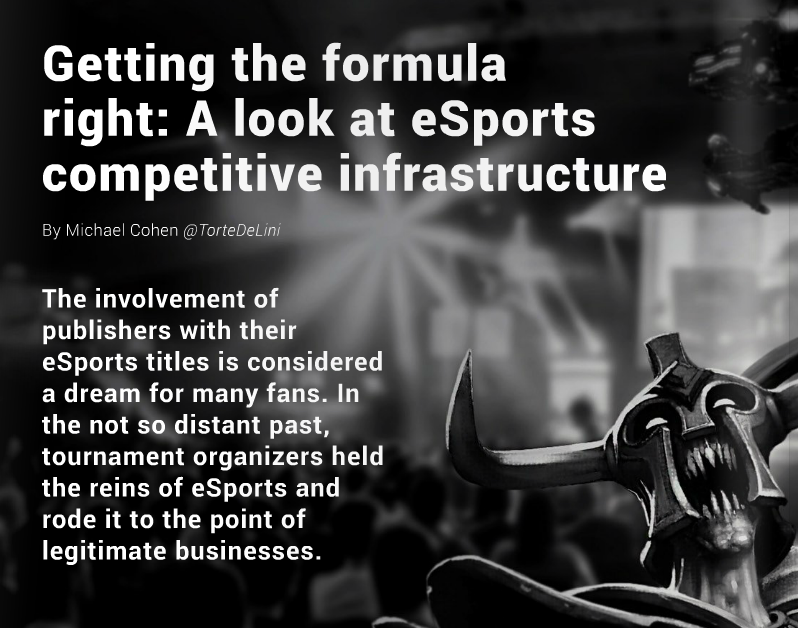 In a special edition of Armchair Athleticism, we’ve been asked to write a piece for GLHF Magazine where we introduce the nuances and differences of eSports competitive infrastructures and goals set by the publishers (mainly: Blizzard Entertainment, Riot Games and Valve). We will also take a gander at the incorporation of publisher involvement in their respective scenes as well as the obligations expected from each perspective audience already involved (players, fans and established tournament organizers). Below is an extract of the insight you can find within the article. Click the image above to jump right into the issue.